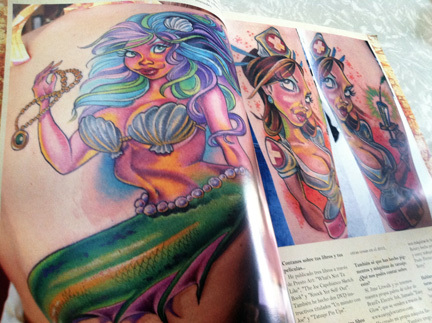 Well, it seems that yours truly has been featured in this months issue of Tattoo Mag. A killer mag out of South America. They did a really nice piece on me. Show casing some great tattoos. Over all a really nice magazine. They also featured 2 other phenomenal artists. Victor Policheri, & Rana Almiron. If you have access to the magazine, and speak spanish. Than i'd highly recommend picking her up. Or check out there sites at there Face book page, or Website.